my new mask regime : GlamGlow | escaped. Can't get over this product. So I've been using GlamGlow Supercleanse cleanser for almost a year now, I think (raved about it here) and it's my magic liquid ever since. 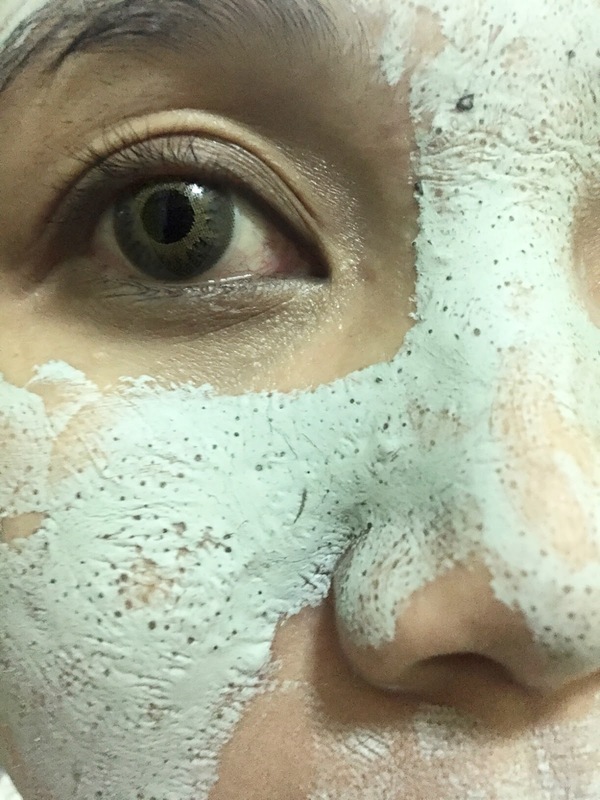 But early this year, I felt like even though it's mostly cleared nasty acne from appearing, I have very very uneven skin tone (also due to the acne scars), whiteheads mostly on my forehead area, and my ultimate skin problem - it's too oily. When consulted, most of my friends say I don't do facials or treatment enough. I've been depending on my cleanser so much, that I see no need to go get my skin pampered. SAY WHAT T.T So I have come to a conclusion that at 29, my skin requires extra treatment that I've been neglecting to do. Then when I visited Sephora, I discovered that they have a set of GlamGlow products - 2 masks and 1 cleanser at relatively low price. Since it's the one brand I trust at the mo, I decided to do facials on my own! Got the black set as recommended by the SA as I've been using the white cleanser. It's called GIFTSEXY Ultimate Anti-aging set, contains 4 items - a brush, a Youthcleanse Daily Exfoliating cleanser, Youthmud™ Tinglexfoliate Treatment mask and Supermud™ Clearing Treatment mask. Tried the Clearing mask as I've been using its cleanser, and this was how it went. Firstly, it has tingly feeling which I love - and it dries quickly, too. The whole application took under 20 minutes, and I had to put on more moisturizer than I used to because it felt really tight. BUTTT can you see those pores?! I don't think I've ever noticed my pores were that big - at first, seeing this picture depresses me but the brand says that's how it works; digging into your pores and cleaning them out. True enough, after rinsing my face, it felt super clean afterwards. The next morning, felt like my face has a new skin. Or maybe that's how a facial supposed to feel afterwards, only that I never knew lolol. So that was how I started my new 2-times a week mask regime. Since it's a set, the white mask comes in a smaller size - so when it's finished I'll try the black one - dubbed the Best Mask in the World by ELLE. We shall see. I need to bookmark this post. I have the same problem, skin too oily, and whiteheads dekat hidung sangat teruk masa tengah period. Dah cuci muka pon still ada, siap kena guna kuku masa cuci muka nak bagi whitehead hilang. Tapi lepas cuci muka, bila pakai bedak nampak bonjol2 whiteheads tu. Haish. So, anon kena try yang ni ke 'Supermud™ Clearing Treatment mask' or kena beli satu set? I'd advise get the mask dulu. See if your skin is improving, then get the whole set.